This is a helpful visual for parents during parent-teacher conferences for ELL students. You can show the main language domain focus for the student. 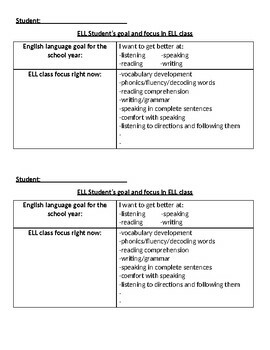 You can also highlight or add your own items that you are working on with the ELL student.